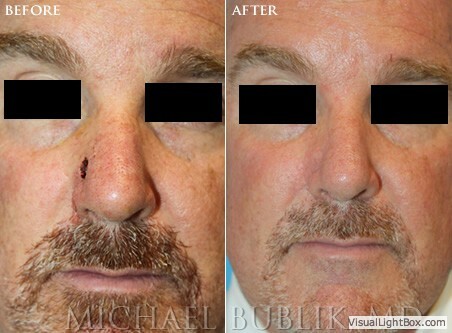 With increased sun exposure, especially in warm climates such as Los Angeles, more and more patients each year develop skin cancers on their face. 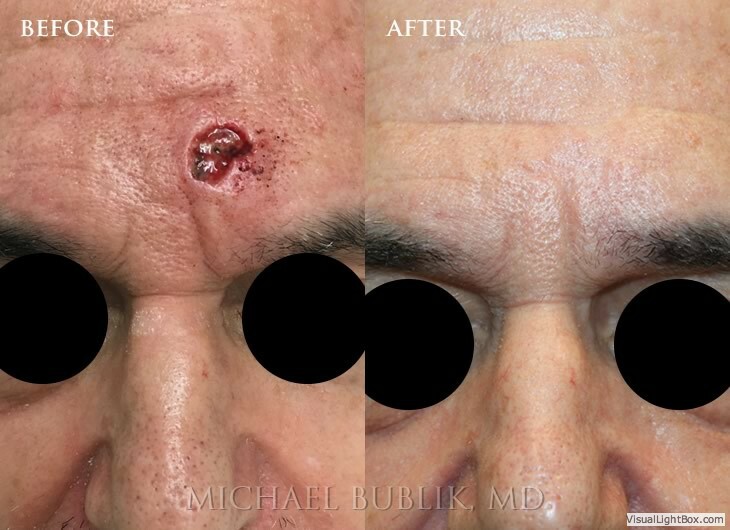 Certain areas of the face, ear, eyelid, lip, and scalp can be very challenging to repair, since tissue is sparse and the chance of cosmetic deformity is significant. 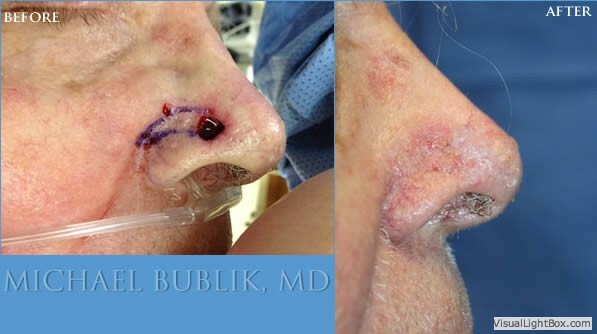 It is therefore essential that lesions in these sensitive locations be treated by a team approach, which starts with removal of the cancer by a skilled Dermatologic MOHS cancer specialist. 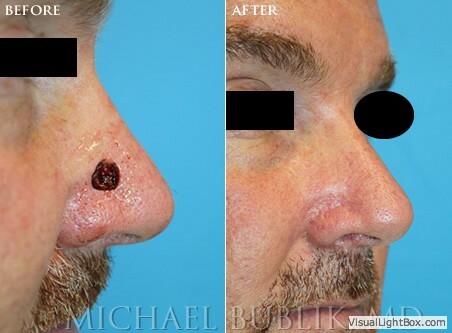 MOHS micrographic surgery is a procedure that is performed by dermatologists with advanced training in the removal of certain skin cancers. 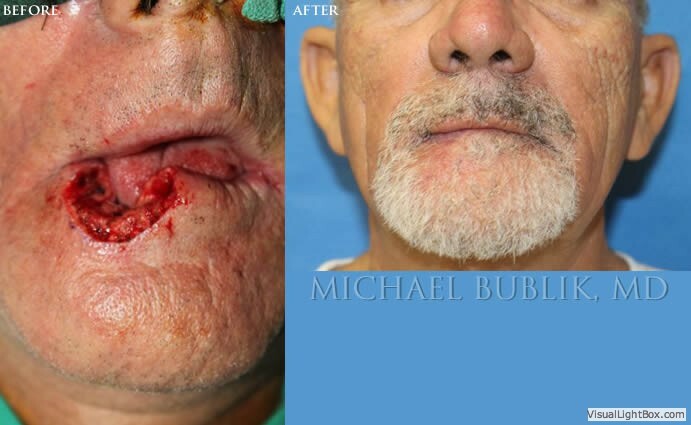 After the cancer is completely removed, the resultant defect often requires reconstruction to restore a natural appearance by a fellowship trained surgeon. 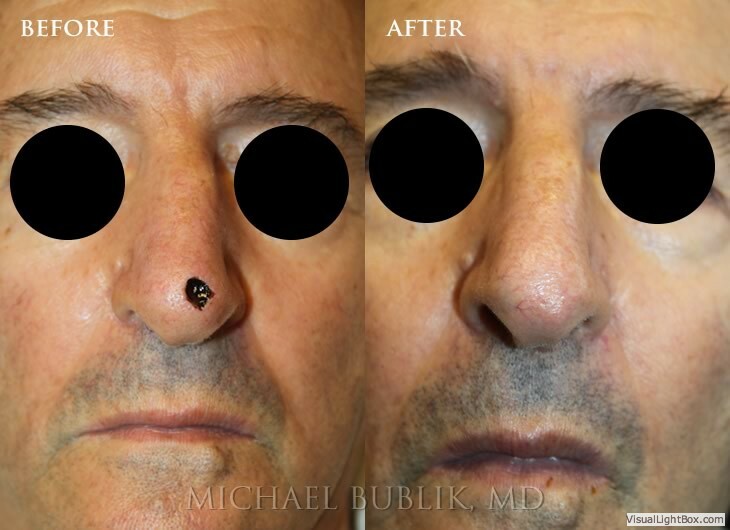 This is where Dr. Bublik’s expertise is needed. 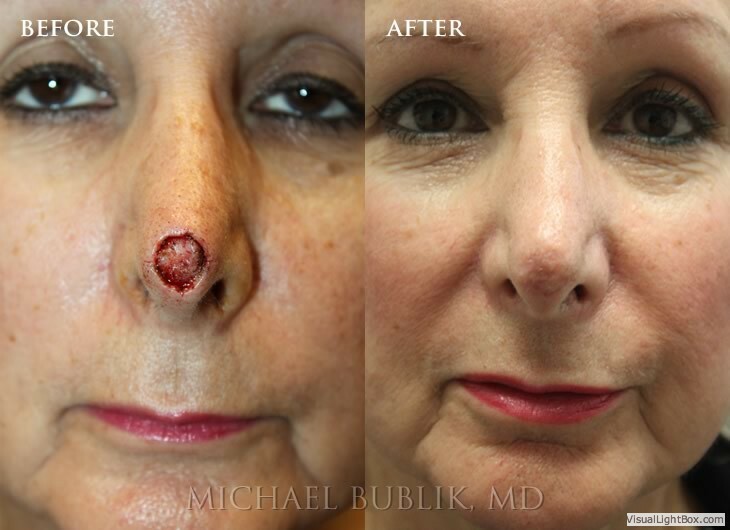 As a Facial Plastic and Reconstructive Surgeon, Dr. Bubliks' task is to repair the wound after skin cancer removal, so it can heal with an optimal aesthetic and functional result. 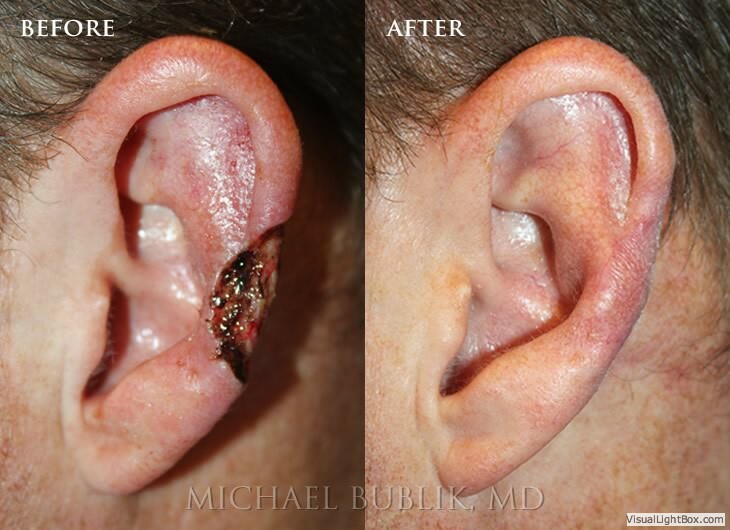 Dr. Bublik has extensive experience in the reconstruction of MOHS surgical defects. 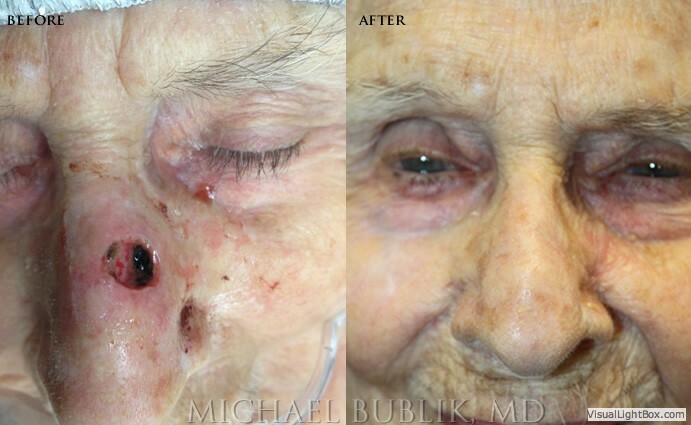 He trained with the leaders in the field of cancer reconstruction and subsequently relayed his knowledge by teaching residents and medical students this difficult technique. 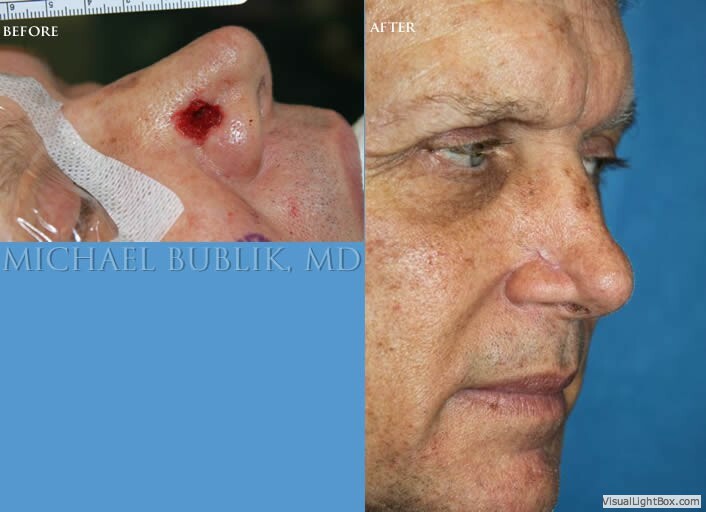 Dr. Bublik performs most of these procedures in the office setting, but for extensive defects or based on patient preference / comfort, he may take the patient to the operating room for the repair using only board certified Anesthesiologists. 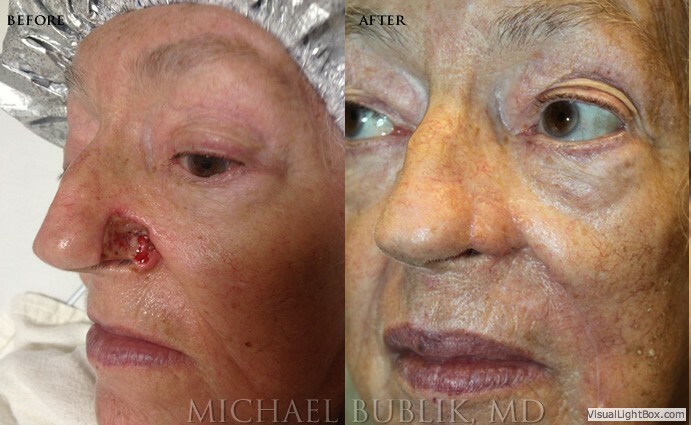 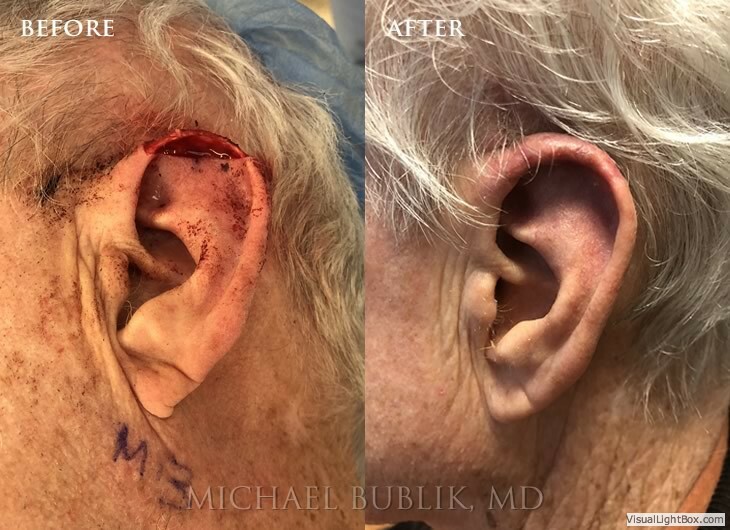 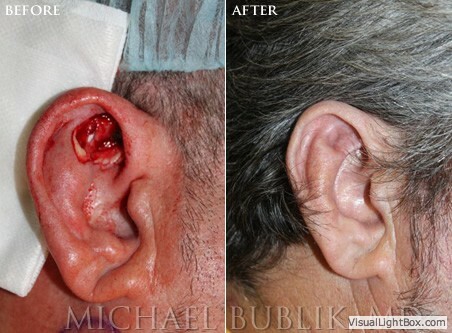 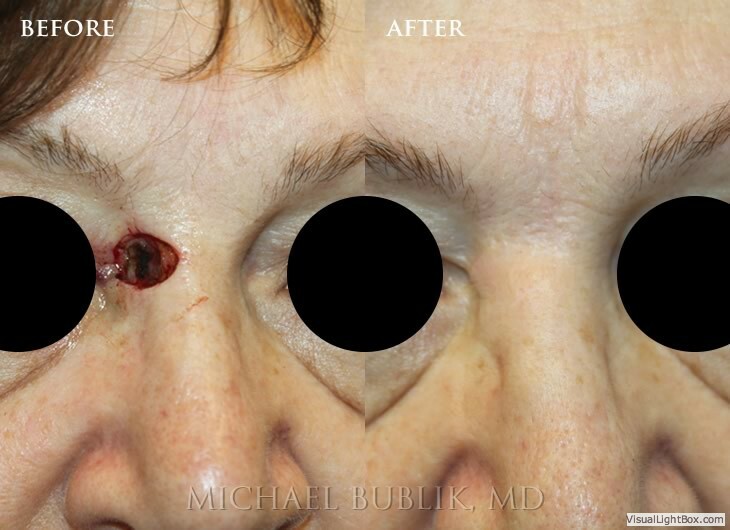 Dr. Bublik uses cutting edge techniques to optimize wound healing and to ensure an optimal cosmetic result. 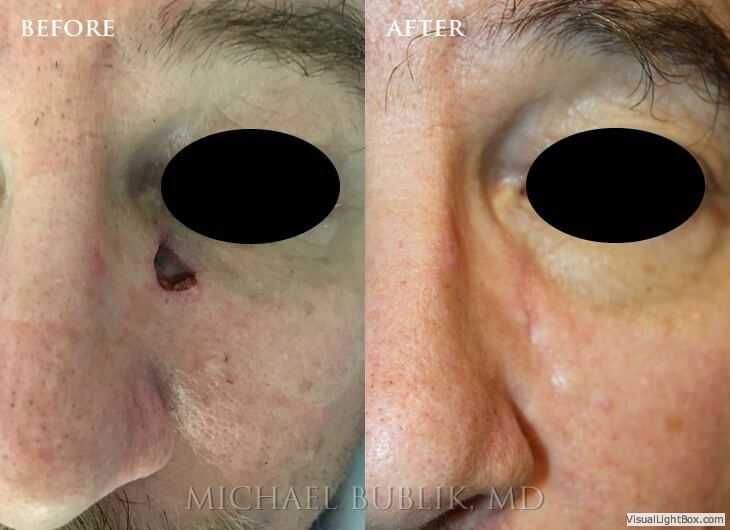 If you have or suspect a skin cancer, please call Dr. Bublik and he will arrange and coordinate all your care, including referral to an outstanding MOHS surgeon. 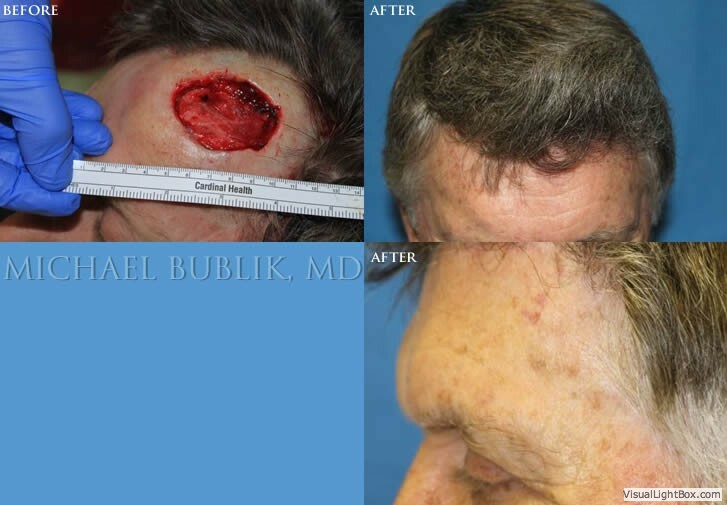 If you are planning on having MOHS surgery, you can ask your MOHS surgeon about having your closure and repair done by Dr. Bublik.